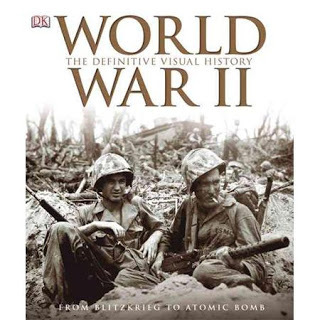 World War II: The Definitive Visual History is a comprehensive, authoritative, yet accessible guide to the people, politics, events, and lasting effects of World War II. Perhaps the most complex, frightening, and destructive event in global history, the Second World War saw the heights of human courage and the depth of human degradation. World War II presents a complete overview of the war, including the rise of Hitler and the Nazi party, fascism, Pearl Harbor, Hiroshima, and the D-Day landings. This book also looks at the enduring effects of World War II during succeeding decades. Expanded with an all-new guide to battlefield and memorial sites and repackaged to honor the 70th anniversary of the end of the war, World War II: The Definitive Visual History covers key military figures, pivotal battles, political profiles, and strategies, as well as features on everyday life on the Home Front as ordinary citizens did their best to aid the war effort. Gallery spreads feature collections of uniforms, weapons, and other equipment. Maps, timelines, and side panels offer an inviting variety of entry point to the huge wealth of information.